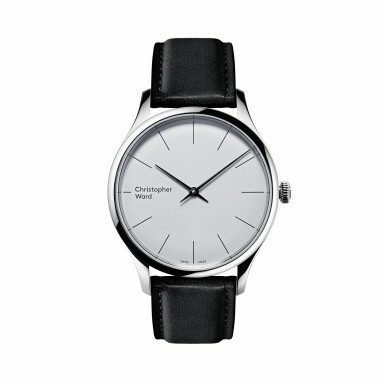 Christopher Ward have announced the C5 Malvern 595, a new ultra-slim mechanical watch at just under 6 mm thick. 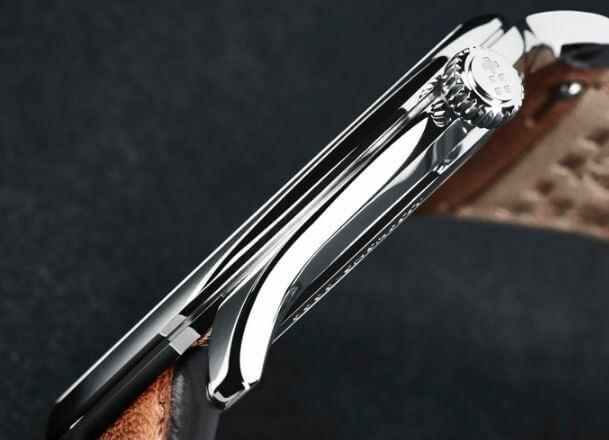 Using a hand-wound mechanical movement, the ETA 7001 which itself is 2.5 mm thick, the designers managed to fit it into a slender case that is just 5.95 mm, hence the 595 moniker. The ETA 7001 has a 42 hour power reserve, meaning it’ll need wound every other day or so. The design comes in two Opalin dial variants, pearly white or cool grey, with a choice of three straps (black, brown, camel) and a Milanese mesh bracelet. The case is 39 mm in diameter, which is very much on trend and wearable for both men and women. For comparison purposes, a Rolex Submariner is 13 mm thick and if you are wondering what the thinnest watch in the world is, then for a mechanical hand-wound it’s the Piaget Altiplano at 3.65 mm. Mind you, they cost a bit more than the Malvern. Talking about the price, Christopher Ward is milking the 595 theme for all it’s worth. Not only is the C5 Malvern 5.95 mm thick, it costs GB£595. The watch is available now from their boutique and online store. 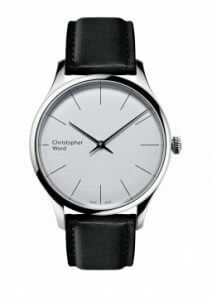 For those that don’t know Christopher Ward, it’s a British company that designs watches in the UK but are then manufactured in Biel, Switzerland. The company’s been around for 11 years and has a reputation for producing good value watches, both mechanical and quartz. 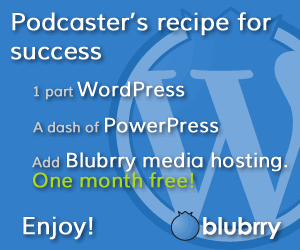 There’s the obligatory promotional video below.